Do you currently have a stack of papers sitting in the corner of your office? When you outsource your organization’s document needs your business will have more space for inventory or anything else of value. Your employees will also enjoy working in a clutter-free space. A document management solutions provider will do everything in their power to keep your data secure. They understand that they have to be discreet while handling sensitive information. The vendor may also use several advanced tools to make sure your organization’s data remains confidential. Lastly, another advantage is that you will receive a customized solution based on your organization’s specific document needs. After all, a law firm must follow certain legal requirements when storing their documents versus a hospital or clinic who must follow HIPAA laws. An experienced vendor can talk with you and other decision makers and create a unique solution that meets your standards and other regulations. 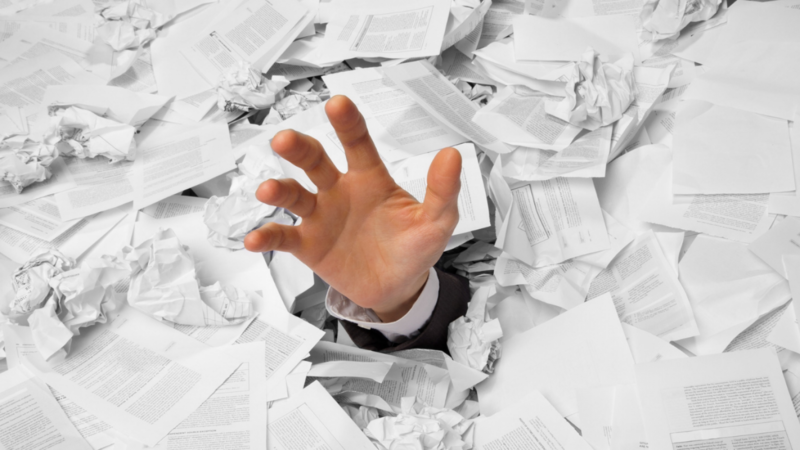 Please contact us today or call (703) 883-2500 find out more about our full-service document management solutions. We’d be happy to discuss how we can make your organization more productive and efficient while allowing you to save money. Our team has helped organizations improve their workflow management and securely scan and shred documents for over 30 years.